I was somewhat focused at this morning’s outing at the Via6 apartment/retail complex in South Lake Union. 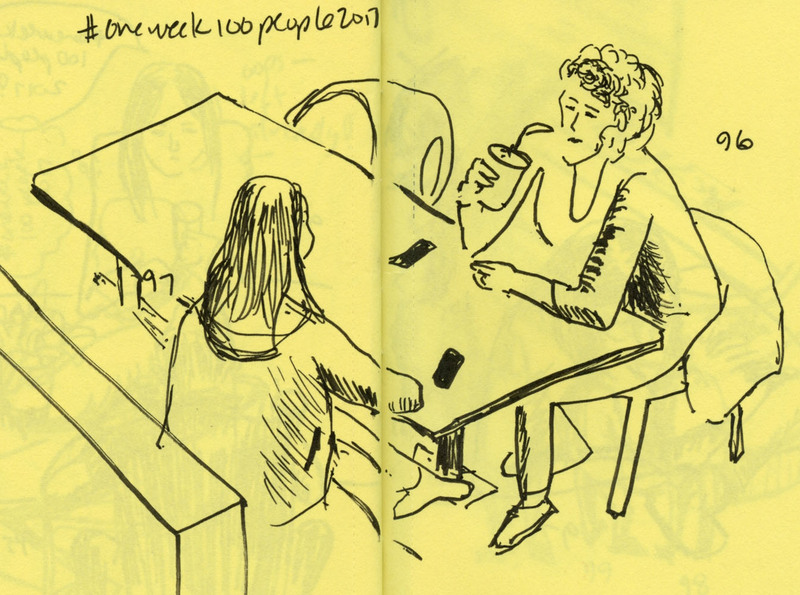 I needed 15 more sketches of people to complete my participation in the challenge that has occupied much of the sketching community this week: #oneweek100people2017. 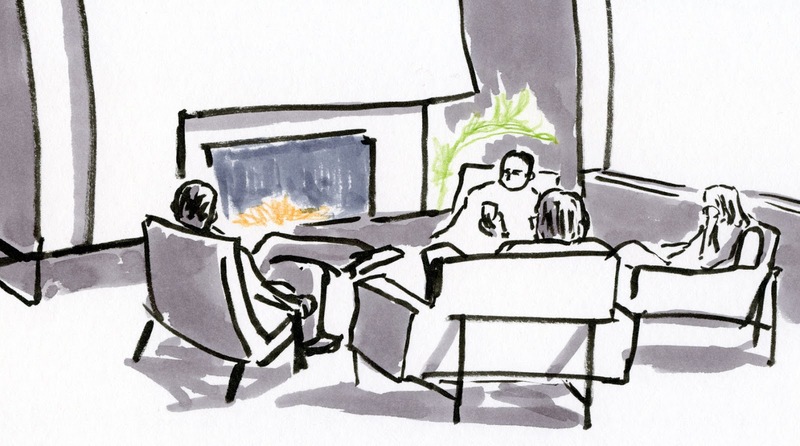 Initiated by Marc Holmes and Liz Steel, the challenge is to sketch 100 people in five days. 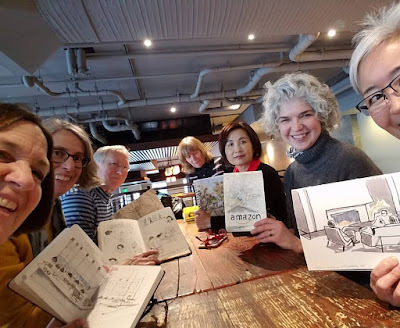 Not limited to urban sketching (drawing from photos, models or even a mirror is acceptable), the challenge is intended to help participants gain confidence and speed in sketching people. Based on my speed record over the course of the week, I thought I would finish my 15 easily and quickly and then move on to other subject matter. 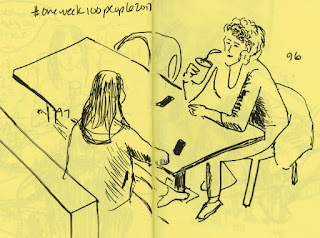 But as it turned out, the 15 (actually 19 – I made it to 104!) took more time than I expected, so I had only about 15 minutes before the throwdown to find other subject matter. 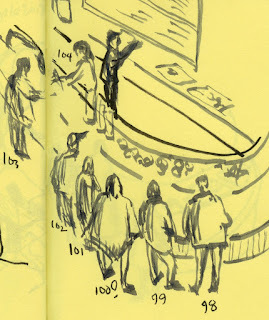 Believe it or not, I really was intending to sketch something other than people, but by then the place was packed, so I resigned myself to one more peopled sketch (above). Here are a couple other sketches from today, including my most challenging viewpoint: From the upper level, I looked down on the curving line of people at the Assembly Hall Juice & Coffee counter. Such perspectival trickery! Your people are vibrant and full of action! Glad you rose to the challenge.